Tootsie Clark, a true Angel of The North, passed away peacefully in her home at Marblemount, Washington on Sunday, September 24, 2017. She was born Madrene E. Buller on February 15, 1922 in Marblemount, at the foothills of Cow Heaven, the last of six children of Richard & Ethel (Rector) Buller, and her life story of 95 years is more words then this announcement can convey. The Buller family developed deep ties with the beautiful valley in 1888 establishing the area known as Bullerville, and Tootsie lived most of her life in the Marblemount community. She received a certificate of perfect attendance from her teacher in the one room school house in Marblemount that she attended as a child. She graduated from Concert High School, where she took an interest in bookkeeping. This skill was used to do all the bookkeeping for her father’s business, Buller Brother’s Lumber Company. She was united in marriage to Rudy Clark on Nov 18, 1941 in Concrete and they made their home and raised their children Judith and Donald in Marblemount. Tootsie Buller-Clark evolved with the changes in the area. 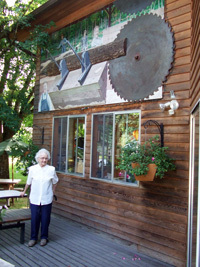 After her father’s mill burned in 1953 and at a time when women were seldom business leaders, Tootsie, who had a natural business sense, saw an opportunity for a small business for workers in the area, she moved and converted the vacant mill cabins to monthly rentals, naming her place Clark’s Cabins. In 1983 she purchased an octagon fast food restaurant for her sister to operate on the property and thusly the ‘Eatery’ restaurant was born. After the opening of the North Cascade Highway (Hwy 20) she added a Museum and indoor seating to the restaurant and changed the name to Clark’s Skagit River Resort. This landmark destination caught the eye of many writers, including Northwest Backroads, Sunset Magazine, The Concrete Herald and King 5 News, but not before Tootsie had started her annual spring trek to be first in line at the pass gate opening on Hwy 20 every year, greeting everyone as if they were her family, with fresh cinnamon rolls and coffee out of the trunk of her car for all to enjoy while everyone waited for the DOT to open the road. Tootie's rolls Since the 1970s Tootsie Clark, now 95, has raced up the North Cascades Highway to share her famous cinnamon rolls and be the first in line when the highway reopened after winter snow was cleared away. This year could be her last. Although she went by Tootsie, (a nickname Fred Tromley, one of her father’s mill employees gave her) after a 1918 comic strip Toots and Casper. She would in her eighties, also became known as the cinnamon roll lady. She worked endlessly and tirelessly at her resort, and in her restaurant, honoring her heritage in her cabins, and showcasing her history in her museum, becoming known for her many home cooked pies, fried chicken dinners, and gracious hospitality. 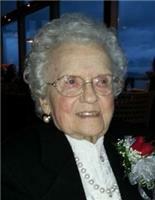 A vital member of the business community in Marblemount, she received many business awards, and was honored when asked to be Grand Marshall for the Concrete 4th of July parade. A petite little lady, with a pixy like personality, she loved people, dancing, and her North Cascades. She is survived by her children, son, Donald Clark and his wife Sheri and daughter, Judith Lee Brooks and her husband, Robert. She touched so many lives, and has been adored by many more. If you’ve met her, you will never forget her. Her presence will be missed by all who knew her. Honored in 1998 by the Skagit County Pioneer Association as a “Pioneer Family of the Year”, I noticed that Tootsie Clark was listed as being 87 years of age which would put her at 98 years of age coming into our interview together. Thinking this was a typo while reading through other stories on her famous Buller and Clark family in the Marblemount area, the age discrepancy continued to pop up when it came to everything written about her. So I decided to challenge Tootsie and her son Don Clark during our interview on why all the confusion concerning the age differences? They immediately started chuckling and I knew we had an inside joke going on here. I convinced them it was time to set the record straight since she gets a great amount of hazing from all her friends and family who have known her in the upriver communities since time immortal. “There was a time I got to a certain age and I wasn’t getting compliments anymore, so I found saying I was older that people would compliment me on how great I looked for my age” Tootsie and Don said giggling, it was all in fun and carried on a tradition by my father of inside jokes, he was a man of great girth and humor she went on to share with me. Ethel Madrene Buller’s life actually began in 1922, which makes her 87 this year , in an area once known as a dead end in the road. Marblemount – a town named and credited to her grandmother Matilda Clark Buller who ran a roadhouse hotel, taught white and Native American children alike and was Marblemount’s first postmistress. Matilda even caught the gold fever in 1900 and with two of her three sons went to Nome to find some gold for her and family, returning after two years later to start a new roadhouse. 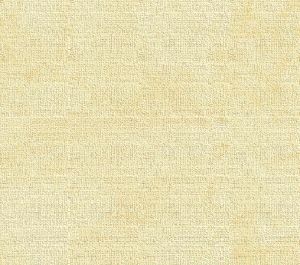 Matilda’s son Richard Jr. and his wife Ethel Buller were industrious people and became fairly prosperous with the Buller Brothers Lumber Company – started with his brothers Carl and Wade – a sawmill and lumber business. A large farm and timber holdings eventually turned into the area known as Glacier View Farm, a truck farm and cheese factory run by Ethel in the community known as Bullerville. Bullerville Dance Hall would soon follow. Madrene, nicknamed “Tootsie” as a baby by a mill worker named Fred Tromley – apparently a fan of a comic strip of the time by the name “Toots and Casper” - found that the nickname took by even her family and has been known by this name since. The youngest of six children, Karl, called Bud”, Russell, Lee, Florence and half sister Phyllis; her childhood days included the usual farm chores such as gathering eggs, hauling water, feeding livestock and milking cows. Her favorite chore was riding horseback while her brothers handled the plow to till the corn fields. Tootsies really enjoyed meeting with her friends Saturday evenings to square dance at the Bullerville Dance Hall. Attending the Corkindale School through the 6th, 7th and 8th grades, which they finished in two years she went on to take the long school bus drives to Concrete High School and graduated with the class of 1940. While in high school her teacher Miss Anne Borgeson taught Tootsie her typing and bookkeeping skills. According to her senior yearbook her skills with the office staff included business administration, office equipment operation and she would have been assigned to a faculty member as their private secretary. Following high school Tootsie married her husband Rudy Clark in November of 1941 in Concrete at the Presbyterian Church and made their first home in Bullerville. Rudy, a graduate of CHS 1936, had been a very persistent suitor during her years in high school where no other boys really had a chance. Richard Buller continued his businesses with his sons who actually became the new generation that made up the Buller Brothers Lumber Company after his own brothers went their own way. Tootsie, while still in high school became his permanent bookkeeper until he finally retired in 1953. 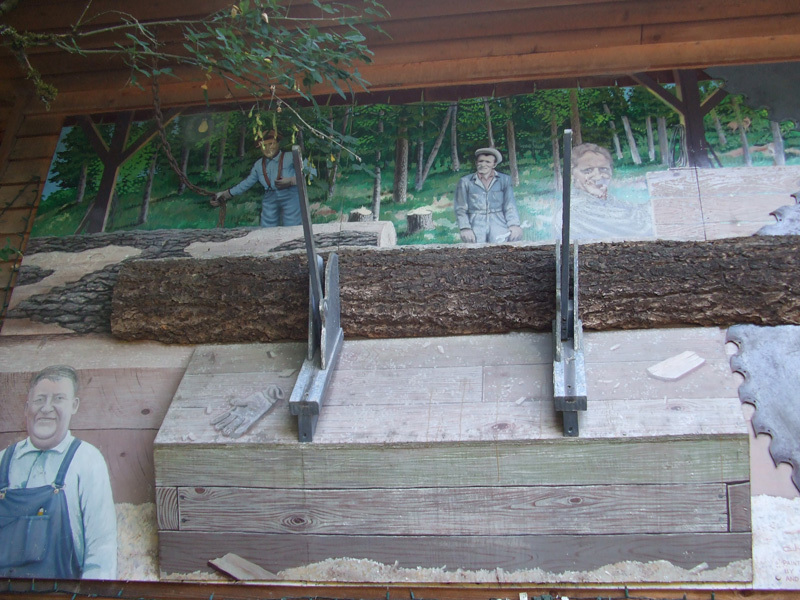 Rudy Clark owned a small logging outfit with his brothers Oliver and Andy called C & A Lumber. He would log in the summer and farm in the winter as a great many other families did during this time period. This continued until sometime in the 1960’s when the advent of bigger timber sales, bigger logging companies and less land to log forced the smaller gippo logging outfits out of business. He continued on in construction as a CAT operator and contributed on work on the Cross State Highway, now known as the North Cascade Pass. While still a bookkeeper for her father’s business, Tootsie was given, as an inheritance of sorts, the seven acres in Bullerville commonly known as Skagit River Resort and Clark’s Cabins. Originally ten ‘tarpaper shacks’ roughed in cabins became the nexus for Tootsie in creating a small business for herself. Early on she rented out the cabins month to month to mill workers and with continual upgrading through the years they became the foundation on which everything else grew around her. For entertainment, Tootsie passion – outside of the businesses – was dancing, which she and Rudy enjoyed their whole married life. Not only the Bullerville Dance Halls, of which there had actually been two at one time. They took their children Don and Judi with them to Seven Cedars Dance Hall in Mount Vernon on Friday evenings where they enjoyed the music of Harry Lindbecks live orchestras until the place burned down in 1963. It’s around 1961 where Rudy went to Friday Harbor to bring home about half a dozen rabbits, at first to raise themselves in their own hutches but eventually they were out producing him and he set a great deal of them free where they became wild rabbits on the property. Rabbits being rabbits, population exploded from there to as high as 175 through the years. Tootsie shared that this year the population was down to 4 rabbits due to the previous extremely cold winter and predators in the area feeding on the rabbits to survive themselves. Through the years as her siblings left the area, Tootsie and Rudy would buy their inherited holdings which now encompass the area around the Skagit River known as Bullerville, a total of 125 acres, which used to be on the county maps. With the opening of the North Cascade Pass in 1972 Tootsie had to make the cabins more of a motel service and she shared she has not stopped working full time since. To expand on Skagit River Resort she had to add newer cabins, a laundry facility, camping and RV parking to the older mill cabins. By the late 1970’s and with the retirement of her sister who moved back to her childhood home, from a franchise outfit called ZIPS Drive-In in Northern California. Florence and Tootsie felt it was time for an eating establishment to feed the tourists and folks renting the cabins, so by 1982 they bought an 11’ octagonal building which used to be part of Corky’s down the road in Marblemount and created the Eatery Drive-In at Clark’s Cabins. The generous menu has barely changed through the years; they still serve breakfast, lunch and dinner. Don still makes homemade soup and Tootsie her famous Cinnamon Rolls. The place expanded through the years with inside dining and more storage. Very important to Tootsie was adding an inside display area for a museum which house the history of Bullerville and her family. 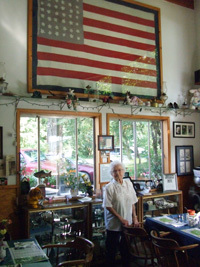 The most impressive item is an American flag made by her grandmother Matilda Clark Buller in 1890 to commemorate the first year of Skagit County’s’ birth. 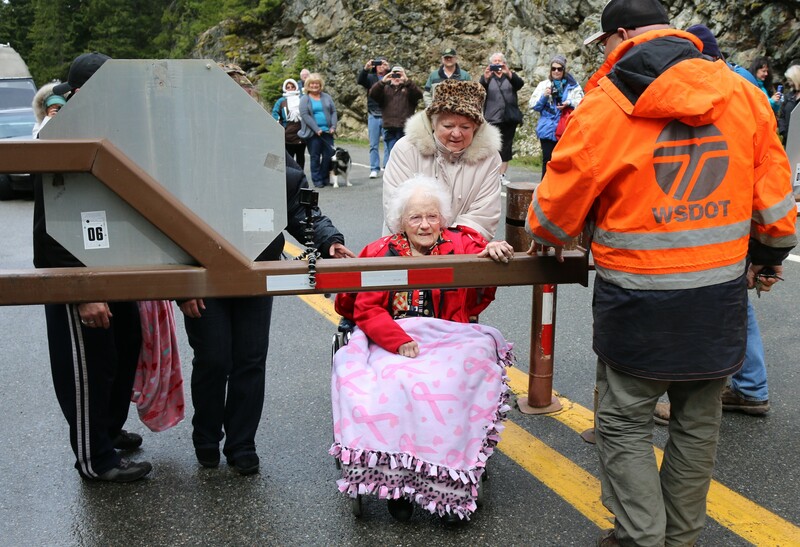 Tootsie Clark, opening the gate at milepost 134 of Highway 20 every year from 1972, died at the age of 95. With Skagit River Resort & the Eatery at Clark’s Cabins an established tourist destination to the entrance of the North Cascade Pass, 1990 turned out to be a heart breaking year with the back to back deaths of her husband Rudy, sister Florence and her brother Bud in 1991. The second dance hall closed its doors at the same time. Almost immediately Tootsie’s daughter Judi and her husband Bob Brooks and son Don Clark came back upriver to help their mom run the family business and have contributed to its growth since. As in years past since the opening of the North Cascades Pass every late spring, Tootsie has been first to the opening of the gate at Rainy Pass. Opening this year at 8:00 PM instead of the usual AM, Tootsie still managed to be first in line to give out 48 cinnamon rolls with coffee on a first come first serve basis. She has even found herself filmed by Northwest Backroads on KING 5 TV in recent years making the annual trip. Don related he found out later the TV show ‘Ice Road Trucker’s’ was filming a scene for the show, apparently a stunt that failed. Tootsie’s life still revolves around Bullerville and the family business, she says, “she doesn’t really run it, the place runs her.” She has no regrets spending her life here with family and friends, everyone knows her, they all look to her well being and yes! They do know her real age.